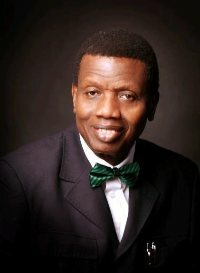 Pastor Enoch Adejare Adeboye is the General Overseer of the Redeemed Christian Church of God (RCCG), an international church organisation with active churches in over 130 countries. Prior to joining the clergy, he was a university lecturer in Mathematics, a subject in which he has a PhD. He assumed leadership of the RCCG in January 1981 and is today widely acknowledged as a spiritual leader to not only millions within the RCCG, but in other parts of Christendom. Pastor Adeboye’s many laudable contributions to the global dissemination of the Christian faith and the development of global civil society through various initiatives embarked upon by the RCCG internationally have been recognised and commended across the world. In December 2008, Newsweek, the international news magazine, named him one of the 50 most influential persons on the planet. He is married to Pastor (Mrs) Folu Adeboye and the couple has four children. ©RCCG Ireland, 2019. All rights reserved.